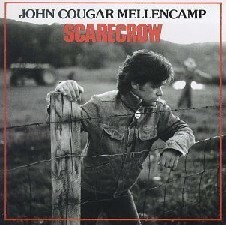 Saturday night we went to the John Mellencamp concert at the Chicago Theater and when he sang, “Rain on the Scarecrow”*, I remember us playing that song after my dad’s funeral in December 1993. When the funeral ended, we drove aimlessly around the Green Bay farmland. The snow barely covered the ground and you could see the fallow dirt. The crops were long gone and what remained looked sad and straggly, drained of moisture and color. It was fitting for that day. During his entire life, my father never once mentioned my accident. He was doggedly supportive of me; never turned down a good idea if I had a plan to go with it. He became ill when I was only 17 , and when that happened the focus shifted to caring for him as his health and mental acuity diminished. I wish now I had the courage to ask him about the accident, to understand his thoughts and feelings. When I heard that song Saturday night, I remembered the aimless farmland drive as well as all the things I hadn’t had time to ask him before he died. I wondered then if he ever wanted to talk to me about it. Many years later, I got my answer by going to a woman who channelled guides. Out of the blue, she told me she had a message from him and I got the answers I had been wanting. It felt like a miracle. When the universe has a plan for you, there is no stopping it. Have you ever felt that? Rain on the scarecrow, blood on the land………. My research thus far has included requesting medical records (from doctors, hospitals and rehab centers in Green Bay), talking with brothers/sisters/relatives, friends of my parents (who died in the 1990s) and even a smattering my own friends about their thoughts, remembrances, perceptions, misconceptions. 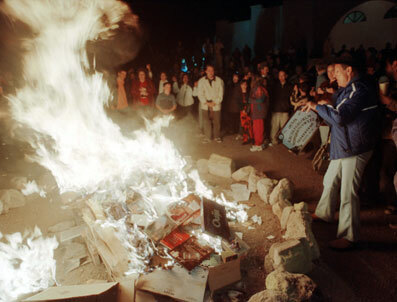 “Didn’t you get burned on Halloween when the lantern you were carrying dropped and you caught on fire?” one relative queried. “No, not at all,” I responded. And that is the most exasperating thing — trying to prove out what I thought happened with all the other red herrings. This is why I so want to see the 1965 medical records. In my mind, they will confirm the story imprinted on me since youth or they will enlighten me with new information. Thus far, the most complete written record of the story has been found in my blue baby book when my mother wrote out an account of some of the details she chose to share in an eerily upbeat way. I’d like something a little more evidence-based but I understand that may be something that never comes my way. I also understand that whatever I may find may not answer some of the questions I have — like how did I get from home to the hospital? Or, how many “debridement” procedures (peeling off of the dead, burned skin) did I have before the plastic surgeries? My questions do indeed range from the basic to the macabre. Does anyone out there have additional ideas on who, what or where I should invest some of my research efforts?